♥ NAPHYRA ♥: Link Us Button Badge to grab! At last, I manage to create a button badge for the Exchange Link to this blog. Can u see the Link Us button badge in the left side of this blog's sidebar? Yes, you can just click "Grab this button" and this button will be installed in your blog. Just follow the simple instructions and TA-DAA.. The button has been installed in your blog. You can just drag it to the place where you want it to be. Save your changes and... You're done! Easy-peasy right? No more hassle in copy and paste the codes into your blog. Yes, this button badge is the QR code and it's working. You can try it out via your iPhone, Blackberry or even Android! Feel free to add this button badge to your blog. Please do let me know once you have done so. leave your blog URL in this comment box. 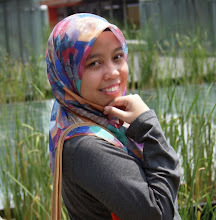 sudah follow n link ur blog sejak jatuh hati dgn hasil kerja u.
Oh, i blom link u lagi..
TQ Jue! Nnt try ek? Alamak.. Farrel dah merengek-rengek ek? Tolong cubit2 pipi die utk I ye? Tihihi..